Engagement rings are pieces of jewelry most everyone is familiar with, and whether you're already engaged, about to be, or couldn't care less, looking at diamonds and gemstones is still always enticing. 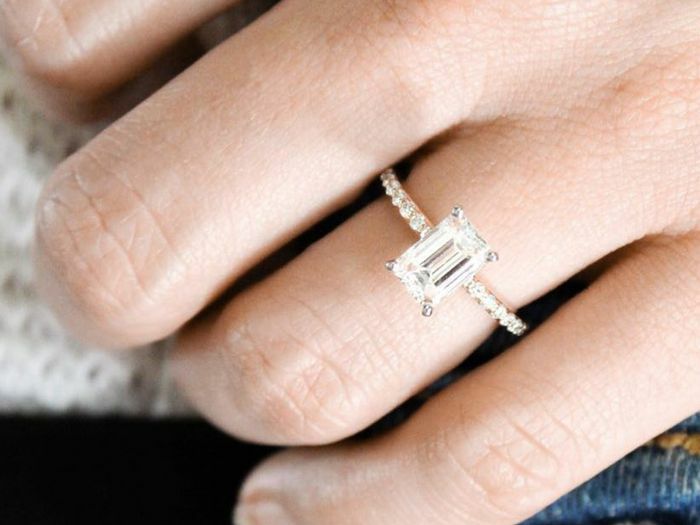 Over time, as with any article of clothing, engagement rings have experienced their fair share of trends, and today, we get to admire the biggest ones. We touched base with Brilliant Earth, now the global leader in ethically sourced bridal and fine jewelry, to get some insider knowledge on the biggest engagement ring trends over the past 10 years. Think you remember them all? So did we, but once Brilliant Earth singled out a trend for every year starting in 2008, there were definitely a few that surprised us. From classic halos to rose gold to pear shapes, enjoy the ride as the experts at Brilliant Earth walk you through the engagement ring styles that mattered most throughout the last decade. "In 2008, solitaires with a wide band were en vogue because of their simple elegance. Brides gravitated toward rings like the Marina Ring due to the style's sculptural beauty and clean lines, which highlight the diamond as the ring's focal point." 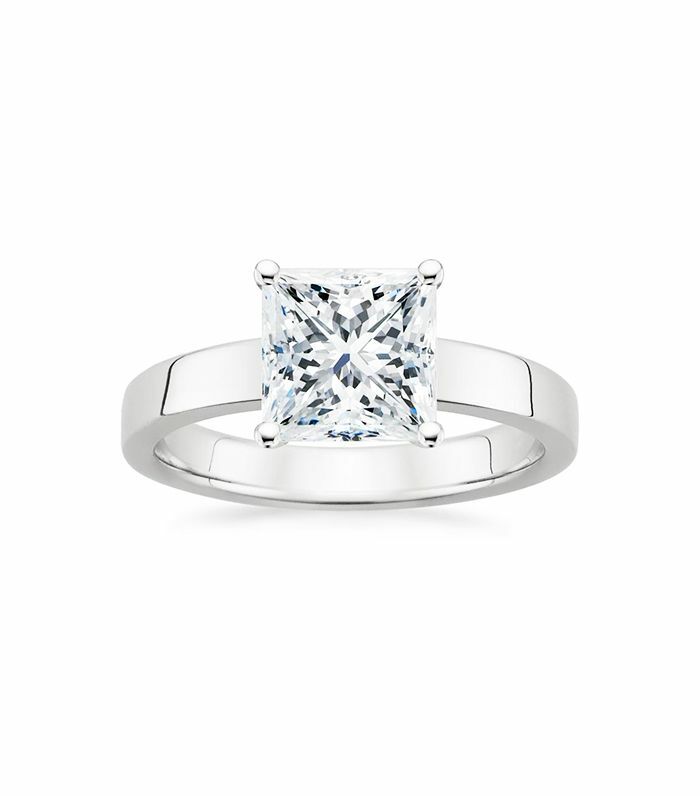 "Couples in 2009 were drawn to solitaires with tapered silhouettes, which have a more delicate look than rings with wider bands. The Petite Tapered Trellis Ring draws the eye and brings even more emphasis to the center gemstone for a classic and sophisticated look." "The sculptural rings that gained popularity in 2010 have clean lines and an understated glamour that perfectly suit a contemporary style sensibility. The Nouveau Ring featured a gorgeous band that gracefully peaks around the center gem, making it a beautiful example of the sculptural styles that were popular that year." "Halo designs with traditional round and cushion-shaped diamonds were especially sought after in 2011, likely because of their romantic, timeless look, and the fact that the halo of accent diamonds makes a center diamond appear larger. Halo engagement rings highlight the center gemstone by surrounding it in dazzling sparkle." "Vintage-inspired engagement rings feature unique elements often found in one-of-a-kind antique rings—such as hand engraving, milgrain, filigree, and ornate embellishment. They gained popularity in 2012, a distinctly different trend compared to the popular rings in 2010 and 2011." "Curving lines, delicate leaves, and flower motifs evoke the earth's beauty in nature-inspired engagement rings. One nature-inspired design that truly thrived in 2013, the Willow Diamond Ring, features wispy vines of precious metal and marquise diamond buds that bring the center gemstone to life." "In 2014, nature-inspired designs gave way to simple twisting designs that step up the sophistication while keeping the important symbolism of intertwined lives. With entwined strands of diamonds and lustrous precious metal, these rings create an enchanting pattern that is elegant and chic." "While classic halo rings have been trending for many years, the 2015 couple sought a truly distinctive take on this style, updating the traditional design with elements like scalloping and floral patterns." "The desire for a distinctive ring carried over from 2015, with 2016 highlighting fancy-shaped diamonds and colored gemstones. People gravitated toward an engagement ring with a vibrant sapphire or other colored gemstone as the center stone, helping it stand out from more traditional diamond engagement rings. Those who were set on a diamond but not interested in the traditional round shape looked to fancy shapes, such as emerald, pear, marquise, oval, or Asscher-cut diamonds. These distinctive shapes lend an eye-catching and unique look to solitaires and other more traditional engagement ring settings." "In 2017 it was all about rose gold for both brides seeking a distinctive twist on a classic style and those drawn to warm metal's vintage look. This alluring pink hue is universally flattering on almost all skin tones, and its soft warmth is particularly suited for modern wedding rings or romantic, vintage-inspired rings." "For 2018, people are taking note of celebrity engagement rings and embracing pear-shaped and oval-shaped center gemstone. Pear-shaped diamonds are a beautiful fusion of the traditional round brilliant and marquise-shaped diamonds. When you combine the cut of a round with the cut of a marquise, the stunning result is a diamond with one rounded end and one pointed end, creating the stunning shape otherwise known as the teardrop. Oval-shaped diamonds are an ideal choice for those who love the dazzling brilliance of a round cut but desire something more unique. Consider Paris Hilton, Sophie Turner, and Cardi B when looking for pear-shaped inspiration, and Kate Middleton, and Penélope Cruz for oval-shaped inspiration." It's clear that engagement ring trends have truly varied over time, and to be honest, we're not sure can pick a trend we love the most. If you're in the mood for more engagement ring content, check out the surprising history of engagement rings here. This post was originally published on an earlier date and has since been updated.